On Earth Day 2010, John Elder delivered this year's Margolin Environmental Affairs Lecture on "Education, Sustainability, and Letting Go." 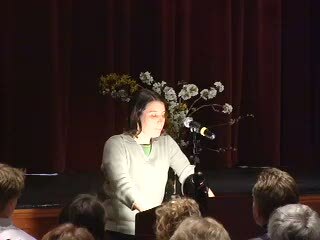 In the lecture, which was the opening event for A Celebration of Nature & Arts honoring Elder's 37 years at Middlebury, Elder combined personal narrative about teaching literature and writing at Middlebury with an exploration of work by authors who encourage readers to question traditional ideas about wealth and success. Watch the video of the lecture below or download this PDF version of the text.